Donald Trump says he can "make a deal" on America's debt. Last week, he implied that he could negotiate with America's creditors to get them to accept a lower rate of repayment, such as 85 cents for every dollar. It sounds shrewd, until you think about who would get hurt under this scenario. Who exactly owns the $19 trillion-plus of U.S. debt? There's been a lot of attention in recent years over China rising to become one of the largest holders of U.S. debt. China's share of the debt is sizable -- about 7% -- but it's hardly the largest holder of U.S. government bonds. The top holder by far is U.S. citizens and American entities, such as state and local governments, pension funds, mutual funds, and the Federal Reserve. Together they own the vast majority -- 67.5% -- of the debt. Foreign nations only hold 32.5% of the total. Trump's proposal stunned the financial world. The U.S. government is the world's safety net. 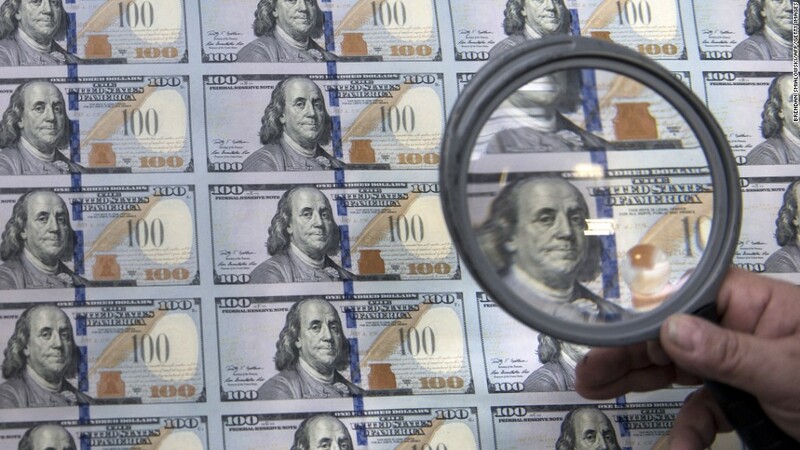 Lenders expect the U.S. Treasury to always make good on its payments. "The global financial system is built on the notion that U.S. Treasuries are absolutely safe assets," economist Doug Holtz-Eakin told CNN's Jake Tapper Monday. "If he were to put a crack in that foundation, the global financial system would crater and we would have a global economic recession." Renegotiating debt terms is a common practice among companies in financial trouble. Creditors are willing to accept lower payments because that's preferable to getting nothing. However, the U.S. government isn't a "junk bond" company. Trump walked back his debt deal making comments when he appeared on CNN's "New Day" show Monday morning as the outrage grew. What's important to remember is that any debt negotiation is really a deal with U.S. citizens. For years, grandmas and grandpas gave their children and grandchildren U.S. bonds to encourage them to save and grow their money. Retirees buy bonds because they are safer than stocks and provide more stable monthly income. Investors of all ages hold U.S. bonds to make their retirement and investment portfolios less risky. "A lot of people who own the debt are in the U.S. Why would I want to get paid less on my debt than when I bought it?" says Maya MacGuineas, an expert on government debt and budgets. She is president of the Committee for a Responsible Federal Budget. Of the $12.9 trillion chunk of debt owned by Americans, $5.3 trillion is held by government trust funds such as Social Security, $5.1 trillion is held by individuals, pension funds and state and local governments and the remaining $2.5 trillion is held by the Federal Reserve. 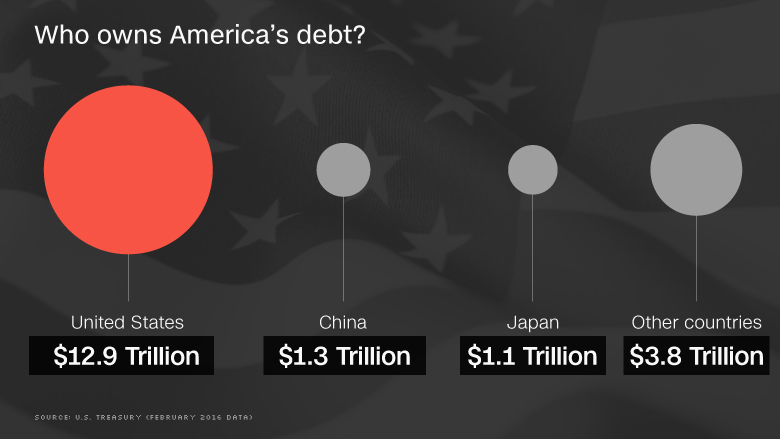 Outside the U.S., China is the largest foreign holder of the debt, with $1.25 trillion. It is followed closely by Japan, which holds $1.13 trillion.